A heartfelt note of thanks to all of my clients, family, and friends for another fabulous year. It is because of you that I am able to do what I love. 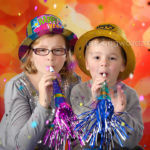 Wishing you health, peace, and happiness in 2012! 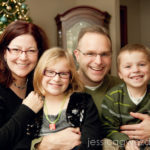 I used a Norman Vincent Peale quote on my personal holiday card this year. “Christmas waves a magic wand over this world and behold, everything is softer and more beautiful.” I really wanted to add my own addendum to that quote that said “Even my kids.” LOL! Merry Christmas everyone! 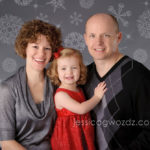 Here’s another quick share from a session used for holiday cards. I love the wardrobe choices here – a neutral palette for mom and dad with a punch of red for the little one. Perfect!